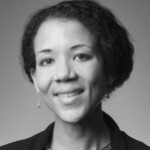 Chantal Thomas is Professor of Law at Cornell Law School. Professor Thomas focuses her scholarship on the relationship between international law, political economy, and global social justice in a variety of contexts. She teaches in the areas of Law and Development and International Economic Law. Prior to joining Cornell, Professor Thomas chaired the Law Department of the American University in Cairo, and also served on the University of Minnesota and Fordham University law faculties. 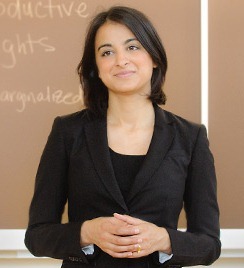 At Cornell she also directs the Clarke Initiative for Law and Development in the Middle East and North Africa. She has been a Visiting Professor teaching international economic law at institutions such as the University of Paris-I, the Center for Transnational Legal Studies in London, and Soochow University in China. Professor Thomas has consulted for the USAID Bureau for Democracy, Conflict, and Humanitarian Affairs, and she currently serves as a Counselor for the American Society of International Law as well as on the U.S. State Department’s Advisory Committee on International Law. Disciplining Globalization: Law, Illegal Trade, and the Case of Narcotics, 24 Michigan Journal of International Law 549 (2003). Critical Race Theory and Postcolonial Development Theory: Observations on Methodology, 45 Villanova Law Review 1195 (2000) (Symposium on Critical Race Theory and International Law). Effects of Globalization in Mexico, 1980-2000: Labour Migration as an Unintended Consequence, in Adelle Blackett & Christian Lévesque eds., SOCIAL REGIONALISM IN THE GLOBAL ECONOMY (2010) (Routledge). Trade and Labor in the World Trade Organization, in Sarah Joseph ed., Human Rights and the World Trade Organization (Edward Elgar) (2009). “Non-Trade” Issues and the WTO, in E. Kwan Choi & James C. Hartigan eds., Handbook of International Trade – Vol. II: Economic and Legal Analysis of Laws and Institutions (Oxford: Blackwell Publishing) (2004). Working Borders: Linking Debates About Insourcing and Outsourcing of Capital and Labor, 40 Texas International Law Journal 769 (2005) (Proceedings of the Inaugural Conference of the Bernard and Audre Rapoport Center for Human Rights and Justice). Economy, Prosperity, and Social Justice, 16 Leiden Journal of International Law 849 (2003) (with Leopold Specht, Ratna Kapur, Balakrishnan Rajagopal & David M. Trubek) (Symposium on the International Legal Order).